Reserve your Wedding Dove Release in Southeastern Wisconsin, for 2016 and 2017. We’ll coordinate with your photographer as you wish. If you like, we’ll meet with you before your special event to coordinate your wedding dove release. Only an experienced, trusted professional will do (or help you do) your wedding dove release. Your “flight attendant” will be dressed appropriately for your occasion. We are 100% reliable and either on time or a bit ahead of time. We got these wedding doves photos from a quick Flickr search for Wedding Doves (for commercial use). If you do a search for all photos at Flickr (not just the ones okayed for commercial re-use) you’ll find white wedding doves are a symbol for peace and union – and a fascinating subject of photographic memories – around the world. See our Wedding Doves page for general information on our Wedding Doves services. White Doves are symbols of peace, union and celebration around the world. Waukesha Dove Release honors for Dove Celebrations – for the wonderful Harris Wedding- June 13, 2014, at Waukesha, Wisconsin. We’d be honored to help with your Waukesha Dove Release – the heart of our service area – or anywhere in Southeastern Wisconsin. Waukesha Wedding Doves – Waukesha is in the heart of our service area. See our Wedding Celebration Service Area < Click to see a map of our service area for Dove Releases! 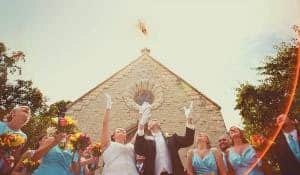 See https://www.dovecelebration.com/wedding-doves/ for complete information on Wedding Doves services!